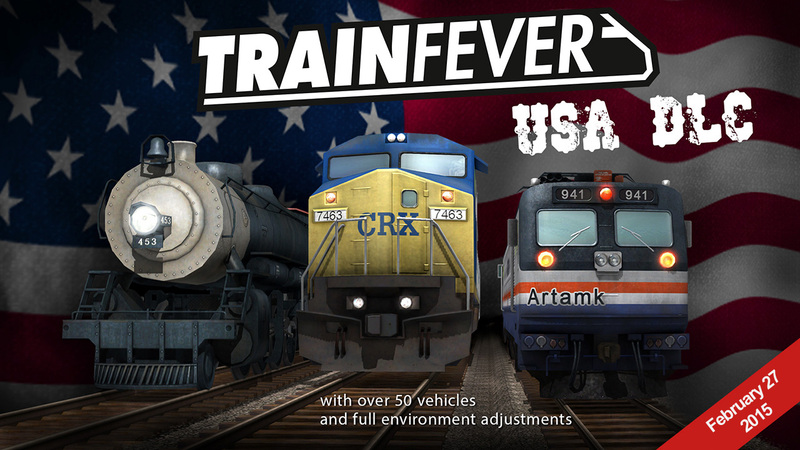 Today we officially announce that the Train Fever USA DLC will be released this Friday, February 27. The DLC will be available for free and features a complete American game mode. An American wild west style town. 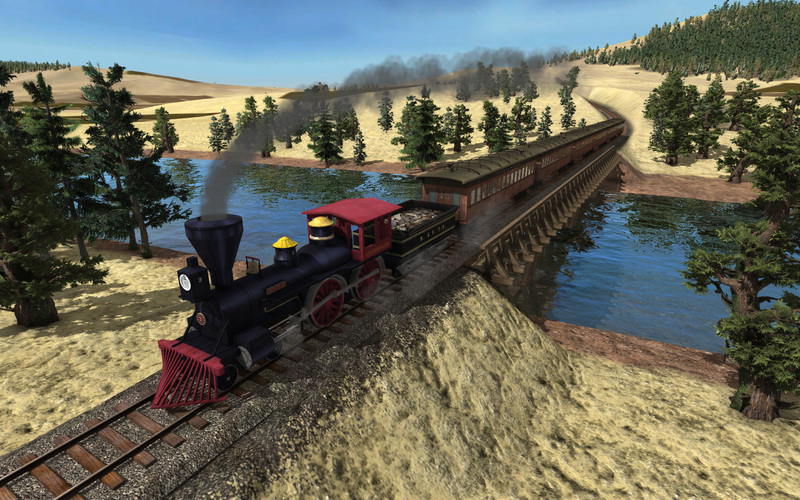 4-4-0 General locomotive crossing a river. what will change in the modding? Also when do we get mods for Steam Workshop? Yeah, great! Very nice screenshots! There will also be changes in the current one? How does what? Nice! There goes my weekend. This is fantastic news, both myself and my YouTube subscribers have been waiting for this update and I am looking forward to creating more great video’s to complement this fantastic game! Very, very nice. And for free. I’ll gladly pay for a content like this. US trains? Desert biome? This is gonna be SO AWESOME! True but I’d be nice to have it stock to begin with. Wil all this beautiful stuf also be available for us, who have TF already of do we have to buy this upgrade? Just read the NEWS! it’s FREE! Yeah, I think there is a trademark issue here. CSX and Amtrak and both misspelled. I think I would have preferred something not even close to the real names, like “AmRail” or “USARail” or even no names. Don’t know what can be done here. Certainly looking forward to this, but the US setting is looking a little more like a straight-up reskin than I’d hoped… is the map generation the same as before, or are there US-appropriate canyons and whatnot? But I am atill waiting hte drivers! None in any train…. this will add more humanity to the game i think. Looks great!!! Will the towns be laid out in the standard grid plan as well? I’m super excited about the vehicles, but I really hope there’s a non-desert option. The U.S. isn’t entirely wild west! Looks great! I’ll get it the moment its available because I love you guts. But you do need to get on and fix the game, including more map generation options otherwise its the same boring maps with wood west colours. Looks amazing, but I would put the smokes a bit down. Houses only emit smoke when cooking. There is not need for heating in most parts of USA. The europeans cities already look weird with so much smoke, now will be even more weird. +1 and the smoke also kills the performance! Especially in the late game (after the year 2000) the smoke should almost disappear also in the industry zones (maybe except in a future China DLC ). I know there is a mod taking care of that, but I would rather prefer a in game solution (e.g. a switch-off-smoke button) . Shoulda make the DLC $1! I mean, I’m not complaining, it’s great it’s free, but it seems worthy of a little cost. there is already too much us-content in our world. nobody needs america, and so does this game. More than 300 million Americans would be kind of disappointed if their country suddenly disappeared, not to mention the logistical nightmare. So yes, some people need America. Looking forward to posts of yours which make some sense. Seriously? The US has Big-Boys, Challengers, the Centennials (two engines for the price of one) . . . basically some of the most powerful, largest and more interesting engines on the earth! Add to that 125 car coal, oil and ore trains and mile-long double-stack container trains. Massive freight yards, giant roundhouses and coal towers should be in the mix. 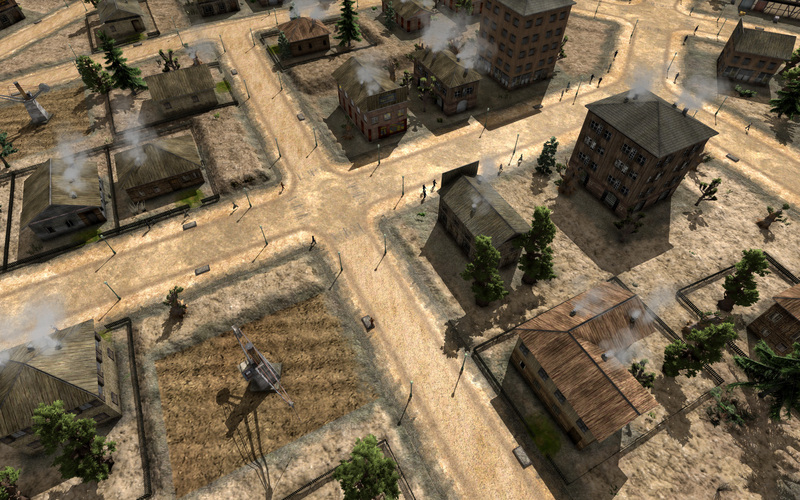 There is challenging terrain – miles of desert and towering mountains, small towns and giant cities. 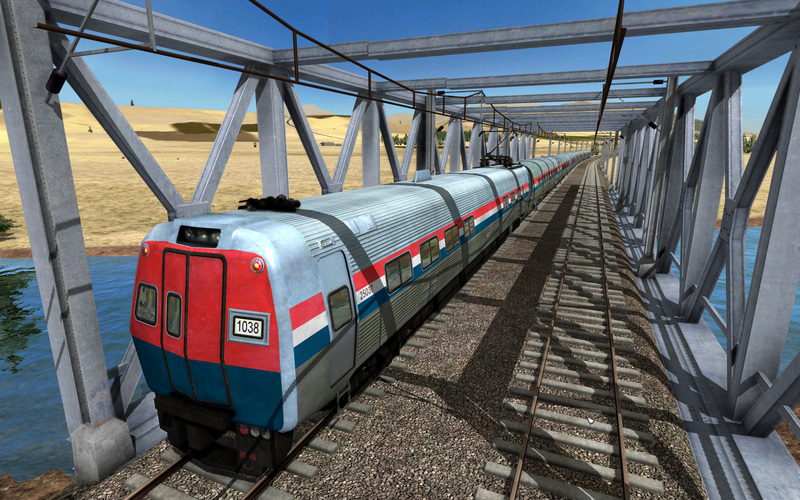 The USA is basically rather interesting railroading and a sensible choice as the first DLC. Id like to agree thats he a troll but are nukes here in the UK are adequate defence against Russia. LOL. Although America is certainly helpful in promoting shared values such as freedom of speech and democracy. Performance is really better than before, but still needs working. or better graphic option (more specific ones) is needed. If Net Neutrality wins today, this will be a fantastic reward! What time can we expect this patch to go live? I would prefer to know if I should stay up really late or wake up really early. Yes, the thing that bottlenecks this game is not graphics (although you do need a decent card and amount of RAM) but your CPU performance as most of the performance issues are caused by the nature of the game engine itself. Some say it’s not using hyperthreading properly but either way, simulation games always have a heavy CPU load due to the huge amount of calculations they have to do. Modeling 1000′s of people (agents), their movements, their employment, their money, etc, etc. is quite a task. The Bigboy has been available for download for about a month now and if the rest of the new stuff is like that then we are in for a treat, as I found it to be a great model with great sound as well. I too am not sure about the 100% desert thing but I guess this engine can’t do variable terrain textures, a shame. Will make a change from the bright lime green though for sure! Now its friday, but there’s no DLC release! What time of the day will it be released, in CET ? It’s friday, my steam is open, eagerly awaiting DLC……. Why are we waiting? It’s 15:26 here in the UK and Monterico is supposed to be streaming the new content this evening. No comments from the developers either so will we get the DLC today or not? This is soo cool. Thank you soooo much! As usual, Urban Games has another half arsed attempt at doing something, guys, WHEN will you EVER do something properly and not leave it half finished? Don’t get me wrong, the DLC overall is great, some cool models and I enjoy the scenery but there are so many little things that proves you never test anything. The Mikado Loco’s dates from 1898 to 1898. meaning you don’t get to use it. The Atlantic class locos that need replacement after only 7 years, the retention of local placenames so you have a ‘wild west’ style desert with towns called things like Chipping Norton and Tunbridge Wells! The retention of European style shops in the USA, so you get a German named shop in a Baverian style build right next to a 19th century western gambling saloon! Then theres the total change in how the mods are installed with no explenation on what theyve done……. It’s good and yes it’s free but another total lack off effort, comitment and PRIDE in their own product. B minus. You are being rather harsh but the B minus grade isn’t really that bad is it? One thing guys: Please change the kpm to mph for this version.